Responsible for growth, finance and operations of government programs, with accountability for overall performance of the company's Medicare Advantage and Federal Employee Programs (FEP) lines of business and other government programs. Additional accountability as executive liaison with external agencies such as Centers for Medicare & Medicaid Services (CMS), FEP Director's Office, and AHIP. Dr. Harding is currently the Senior Medical Director of Senior products comprising a population of over 100,000 Medicare and Retiree members at Tufts Health Plan in Massachusetts. Prior to this position, he was at Touchstone Health Partnership, where he served as Vice President for Health Services. Prior to that he was Chief Medical Officer of the Fallon Clinic in Worcester, MA, a multi‐specialty group practice with over 300 practitioners, and held several different positions at FHP in California, a multi‐faceted health care company with HMO, medical group, and hospital businesses. He also continues his role as a physician reviewer for the National Committee on Quality Assurance (NCQA). He brings over 25 years of experience in medical management. Dr. Harding received his bachelor's degree and his degree in medicine from Boston University and he is board certified in internal medicine and geriatric medicine. He also has been certified by the ABMM and ABQAURP, and is a Fellow of the American College of Physician Executives. Dr. Harding has previously taught Internal Medicine at the University of California, Irvine, School of Medicine; the University of Massachusetts Medical School in Worcester and in Uganda and South Africa. Gary Melis is a Clinical Pharmacist for the past six years at Network Health, a local health insurance provider in Northeast and Southeast Wisconsin. He is currently one of two pharmacists involved making MTM calls in-house. His responsibilities also involve NCQA, pharmacy appeals, P&T Committee, Member and Provider relations. Gary's also has experience as pharmacy manager for a national long term care company, pharmacy manager for retail pharmacy chain, and Pharmacy Director for a National Health Care provider. He has also been a pharmacy instructor at local medical college family practice clinic. Josh is the Medicare Stars Programs Manager at Martin's Point Health Care in Portland, Maine. Over the last nine years his company's HMO contract has earned 5-stars four times, most recently in 2016. In his role Josh is responsible for identification, development, and implementation of quality improvement initiatives to maintain and improve health plan quality measures, specifically Medicare Star Ratings. Prior to his health care career Josh worked for several branches of the Walt Disney Company, including many years in production management at Walt Disney Animation Studios in Burbank, Calif. Josh has an MBA in Marketing from the American University in Dubai and a Master of Science in Health Communication from Boston University. He lives in Portland with his wife and seven-year-old daughter. John Lovelace holds several positions within the UPMC Insurance Services Division, through which he oversees the government health program lines of business with UPMC. This includes the managed Medicaid programs, managed long-term services and supports, Children's Health Insurance Program, Medicare and Medicare Special Needs Programs, individual medically underwritten coverage and the operations of federally facilitated marketplace operations. He has been associated with UPMC insurance services for more than twenty years. John serves on a variety of local, regional and national boards, including the Association for Community Affiliated Plans, which he serves as Board Chair; Medicaid Health Plans of America; and the National Managed Long-Term Services and Supports Health Plan Association. He speaks nationally on key issues affecting publicly financed health care programs, with emphasis on people with disabilities and social determinants of health. More locally, his advocacy efforts are focused on disabilities, services for women and children and behavioral health. Mr. Lovelace holds graduate degrees in Rehabilitation Counseling from the State University of New York at Buffalo, as well as in Information Services from the University of Pittsburgh. Rick Mabe is a Servant Leadership Award Winner and transformational healthcare leader with 27+ years of experience developing and executing strategies to grow businesses regionally throughout the country. Rick has worked with large Medicaid and Medicare Managed Care Companies in the past such as Aetna, Coventry Health Care and United Health Care while also helping the latter two companies launch the very first two Medicare Managed Care programs in St. Louis, MO in the early 90’s. In addition, Rick has worked in various senior level roles in Nursing Homes, Assisted Living, Hospice and in his current role with Premier Home Health Care Services, Inc. as Chief Operating Officer, Managed Care. Rick also has experience in Developmental Disabilities, Workforce Development and Social Determinants of Health. Larry has earned an MBA from the University of Detroit with a concentration in Finance and International Economics. Additionally, he has completed graduate studies at Wayne State University in Healthcare and Labor Economics, and Econometrics. Prior to joining L.A. Care in April 2016, Gar was working as a consultant for various MA organizations in the area of growth and start up planning. At his last health plan position for Care 1 st , he held the role of Director of Medicare Administration, where he helped Care1st launch its expansion plan into El Paso Texas and grew that plan in its first AEP to over 2000 members. Most notably, Garrison served as Chief Marketing and Sales Officer/Senior Vice President of Arcadian Management's Medicare venture from 2004 to 2012, which he was a part of the initial launch team. Arcadian quickly grew from zero revenue in 2005 to over $650 million in annual revenue in less than five years, with no acquisitions, all organic growth, under Garrison's leadership. Garrison as a part of the Executive team successfully navigated a sale of Arcadian to Humana in 2012. His skills are based in community/grassroots marketing with a clear understanding of how consumers purchase healthcare products based on demographics and consumer research. Garrison's 29 years in the health care field have equipped him with intimate knowledge of the Medicare program and the needs of those beneficiaries. He has worked directly on Medicare Advantage program start-ups and program improvement plans. His executive skills are deeply rooted in the disciplines of execution and meeting deliverables. Anjuli Calvert is a Designer and Innovation Strategist in Humana’s Healthcare Trend & Innovation team, where she develops service experiences that help Humana’s chronically ill members. Prior to Humana, Anjuli spent 8 years designing experiences around home appliances and digital tools for brands like Viking Range and GE Appliances. Her work to develop an industry disrupting finish, called Slate, garnered her a Forbes 30 under 30 nod in 2015. In her relentless pursuit of learning, Anjuli set out to apply her user-centered design skills to the challenging world of healthcare and, specifically, at home care. Anjuli holds a Bachelors of Industrial Design Degree from Auburn University and resides in Louisville, Kentucky with her husband, two young kids, and giant goldendoodle. Karen Connolly, RN, a health care professional, has over 40 years of extensive experiences in operational leadership in health care quality delivery and management including quality management and improvement in health care. She has been involved in nursing and hospital administration and in operational leadership with the health plan industry to include QI, accreditation attainment, HEDIS, health information, contract administration, risk management and strategic planning. Her expertise and experiences in quality improvement activities have included activities in both the hospital and ambulatory settings and interfacing with a number of external agencies in the promotion of quality and in the use of data to increase access to care and to increase the quality of health care delivery systems. She has worked consultatively in the health plan community with Medicaid Advantage, Medicaid, and Commercial health plans in the areas of compliance, QI, operational leadership, accreditation achievement, key metrics, and HEDIS with emphasis with the CMS Medicare Advantage Stars Program for over 14 years. 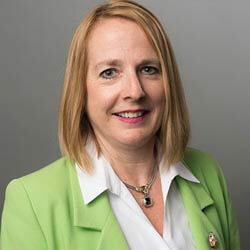 She has facilitated strategic planning sessions and performed analytical evaluation, database management, and quality improvement of key performance indicators that have resulted in statistically significant improvements impacting health outcomes particularly focused in the health plan that has resulted in impacting star ratings including the achievement of a 5 Star Rating from CMS. Ms. Connolly has worked with organizations throughout the country in the achievement and continued compliance with accreditation with NCQA, AAAHC, and The Joint Commission. Ms. Connolly has been an accreditation surveyor with the Accreditation Association for Health Care Administration (AAAHC) since 1998 and serves as faculty for AAAHC educational programs. Ms. Connolly serves as the Chair of AAAHC's Health Plan Advisory Committee and is a member of AAAHC's Standards and Survey Process Committee. She has served on a number of other committees, workgroups and task forces for AAAHC that have included the Medical Home Advisory Committee, the Task Force on Quality Improvement, the Task Force for Primary Care, and workgroups for Patient Center Medical Home and Scoring Methodology. She currently serves on 2 CMS national technical expert panels on Quality Improvement Strategies and the Quality Reporting System in conjunction with the Affordance Care Act. She is an under-graduate of DePauw University School of Nursing in Indiana and did her graduate studies at Oakland University and University of Michigan in Michigan. Kent Holdcroft joined PharmMD in March 2013, bringing over a decade of operational, consulting, and sales experience in the healthcare technology and services industry. His leadership at PharmMD has quickly expanded well beyond the management of business development, client negotiations, and relationships, taking on integral roles in marketing operations and product development. His charismatic personality is helping shape the culture of this rapidly growing team. "PharmMD holds the potential to be a game-changer," comments Holdcroft. "This team is focused on being the market innovator as emerging regulatory requirements position our solutions to return millions of dollars to our customers, reducing cost, and building healthier lives." Holdcroft came to PharmMD following multiple successes with AIM Healthcare (now a part of Optum, a United Health Group, Inc. company), rising to National Director as it expanded into new markets. He was a key player as a part of Optum's growth strategy representing all of Optum's provider-facing solutions. He managed healthcare accounts in the community hospital, academic medical center, integrated delivery network, as well as a variety of managed care plans and government settings. Actively involved in the community, Holdcroft currently serves on the Board of Directors at BrightStone, Inc., and as a Stephen Minister. Holdcroft holds a BA in Psychology from the Miami University and a MA in Counseling from The University of Toledo. 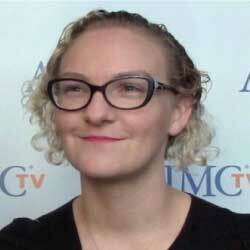 Amy Ocheltree is the Medicare Compliance Program Manager for Providence Health Assurance in Portland, Oregon. Amy feels that a good compliance program should have well documented processes for each element while being flexible to adjust to changing times and requirements. She is responsible for the management of the Medicare Compliance Program for Providence Health Assurance, including all auditing and monitoring functions. She is also responsible for the Delegation Oversight Program. Amy has been with Providence Health Assurance for over 5 years and has a background in operational areas in management prior to joining the leadership team in the compliance department. 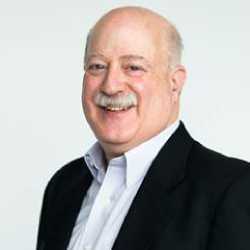 Stuart Rosenblum is an entrepreneurial senior leader with a track record in growing profits through connecting the dots to reveal opportunities and then executing innovative strategies while leveraging relationships. His over 30 years of experience encompasses roles in Business Development, Sales, Marketing and Finance across industries, including Healthcare, Financial Services and Marketing Services. In 2009, Rosenblum came to Anthem, Inc., a publicly traded health benefits company serving over 73 Million lives including over 40 million total medical members in affiliated health plans as a Blue Cross Blue Shield licensee in 14 States (California, Colorado, Connecticut, Georgia, Indiana, Kentucky, Maine, Missouri, Nevada, New Hampshire, New York, Ohio, Virginia and Wisconsin).Rosenblum and his team lead a program wherein they partner with Anthem Strategic Suppliers to deliver Best Practices and Cost Efficiencies to external Health Plan Companies. The portfolio of offerings has grown to over 50 suppliers offering capabilities for almost all Payer goods and services requirements. Prior to joining Anthem, Rosenblum built, grew and exited his own businesses where he held various positions including President of a Marketing Services Company that provides end to end solutions from Strategic Plan Development, production and implementation for companies such as Disney, Dole Foods, and Target. Rosenblum worked as Executive Vice President, Operations and CFO of a Consumer Products Company that develops, manufactures and markets a variety of products primarily sold through Direct Response marketing efforts where he developed and managed the growth from $15 million to $250 million in 18 months. Rosenblum lives just outside of Los Angeles, with his wife, Andrea, and their dog, Rocky. He has 3 adult children and a new daughter through his oldest son's marriage and balances his time between a variety of different activities which include hiking and spending time cooking for his family and friends. Kurt Waltenbaugh is CEO & Founder of Carrot Health, creator of Carrot MarketView: a cloud-based Healthcare Business Intelligence platform used to analyze data, generate reports and provide real-time insights into your population and market. Kurt is a serial entrepreneur who has built successful analytic solutions, products and companies in the healthcare, retail, manufacturing, education/credentialing and fundraising industries. His previous companies were sold to Oracle and Pearson Education. Most recently, Kurt was responsible for Product Strategy at Optum, Inc. (UnitedHealth), building data analytic businesses for the Provider, Payer and Employer markets. Catherine is a senior leader in healthcare product strategy and product management. She is a product innovation leader who has launched successful multi-channel, consumer-focused, technology-enabled health, wellness and condition management products at leading healthcare companies and organizations. Catherine is the VP of Product Strategy and Development and Chief Nutrition Officer for PurFoods, the leading national provider of home-delivered meals that allow people to recover and age at home. She also served as Vice President over the Medication Adherence and Immunizations businesses at Walgreens, led Healthcare Product Strategy at WebMD and managed health and wellness products and programs for Ceridian, the National Institutes of Health and the American Institute for Cancer Research. Catherine earned her Masters of Science degree in Human Nutrition from the University of Minnesota and her BA from the University of Michigan. She is a Registered Dietitian and has training and expertise in product management, behavior change, weight management, tobacco cessation, medication adherence, health coaching, disease management and culinary arts. John W. Halsey, Vice President, Payer Development, Turn-Key Health, is a healthcare executive with 20+ years of experience helping organizations drive revenue by strategically assessing opportunities, developing marketing strategies and executing on sales. Previously, he served as a managing partner at AXON Strategy. He has also held business development and management leadership positions at Real Time Medicare Data, MDLIVE, Inc., and Teladoc. Dru is the Director of National Sales & Marketing at EPIC Hearing Healthcare (a United Healthcare Company). 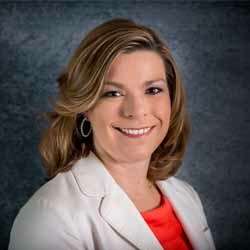 For the past 13 years, she has led nationwide marketing and business development initiatives in managed care, commercial, government and private sector markets. She specializes in thought leadership, product innovation and specialty plan designs for “differentiator” market offerings. EPIC Hearing Healthcare (EPIC) was established in 1997 by a panel of ear physicians and healthcare industry executives with the common goal of expanding hearing healthcare horizons. EPIC is the first organization to carve out hearing care in the fashion of other ancillary benefits, and the only hearing care provider to offer fully insured plans. Supported by the largest accredited network of audiologists in the country, the EPIC Hearing Service Plans fill the gaps in coverage that exist under traditional benefit plans; improving member care, satisfaction, and retention. Today, the EPIC Hearing Service Plans cover millions of lives through direct contracts with Managed Care Organizations, Health Plans, Employers, Unions and Strategic Partnerships. Torrie leads the development and implementation of programs and processes at Blue Shield of California that work to improve the quality of life for individuals with serious illness and their families. Torrie has led the development of highly successful palliative care initiatives including benefit design, case management, caregiver support, medical home development, and policy and engagement efforts. Prior to joining Blue Shield, Torrie worked as an applied health services researcher in a variety of settings, including health plans, health delivery systems, local and federal health departments, and in university research laboratories. She has extensive experience in health policy development and implementation. In addition to her work with Blue Shield of California, Torrie acts as a consultant and curriculum developer for The Center to Advance Palliative Care and California State University Palliative Care Institute. Torrie holds a Master's in Public Health in health management and policy from the Oregon Master of Public Health Program at Oregon Health and Sciences University, a Certificate in Gerontology from Portland Community College, a Bachelor of Science degree in sociology from Portland State University, and a Bachelor of Arts degree in communication theory from University of California, San Diego. David L. Larsen has been the Director of Quality Improvement for SelectHealth in Salt Lake City, Utah for the past 25 years and has worked for Intermountain Healthcare for 32 years. SelectHealth is a mixed model HMO with more than 650,000 commercial, 90,000 Medicaid, 35,000 Medicare advantage and 10,000 CHIP members in Utah and Idaho. Intermountain Healthcare is an integrated health care delivery system with 23 hospitals and over 1500 employed physicians. As the Director of Quality Improvement, David has responsibilities for oversight of the Medicare Advantage Stars program for which SelectHealth received a 4.5 Star rating in 2015; maintaining NCQA accreditation, SelectHealth is currently accredited with a Commendable rating; as well as, HEDIS performance measurement, public reporting (transparency) and disease management. David was a past co-chair of America's Health Insurance Plans Subcommittee on Accreditation and Industry Standards. David has also been responsible for the oversight and development of chronic disease registries, performance measurement and web based reporting systems, quality improvement pay for performance incentives for physicians, and direct patient improvement interventions related to chronic illnesses including patient adherence monitoring, reminders and incentive programs. David led initiatives that were successful in applying for and receiving the 2001 American Association of Health Plans National Exemplary Practice Program Award for Diabetes, the 2002 George W. Merck Quality Award for cholesterol management, the 2002 American Association of Health Plans Innovations in Immunizations Award and the 2003 Best Provider Engagement Initiative Award from the Disease Management Association of America. Dr. Piyush Gupta is the Regional Medical Officer of CareMore Health of Arizona, a Medicare Advantage health plan and delivery system with a focus on caring for the frailest populations by harnessing the power of teamwork to proactively manage their complex medical needs. CareMore Health provides care to over 100,000 Medicare and Medicaid beneficiaries across eight states, including Arizona, California, Nevada, Virginia, Tennessee, Iowa, Georgia, and Connecticut. As the Regional Medical Officer of CareMore Health in Arizona, Dr. Gupta leads the market in strategy, operations, and quality improvement. Prior to joining CareMore, Dr. Gupta was an attending physician at Kaiser Permanente where he also completed a fellowship in patient safety and quality improvement. He is board certified in internal medicine and trained in internal medicine at Brown University. Dr. Gupta received his medical degree from the University of Vermont and graduated with honors from Carnegie Mellon University with a bachelor's degree in biological sciences. Ms. Leo oversees the overall performance, strategic direction and product development for Cigna Healthspring's Medicare products. Prior to joining Cigna, she worked for Aetna, where she was most recently was the National Head for Medicare Advantage product and strategy. Previously, Ms. Leo held leadership roles at Aetna in national contracting, network contracting, operations and dental. She has an MBA from St. Joseph's University and lives in Philadelphia with her husband and daughter. Sharon is the Director of Product Development and Strategy at the Cleveland Clinic. Her role keeps her connected with the market, both payers, employers and brokers, as she collaborates on opportunities to link the excellence in health care delivery found at the Clinic, with consumers. 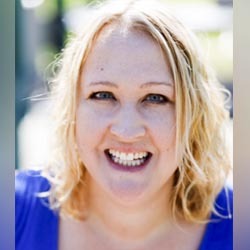 Her 20+ years of experience in the insurance industry, includes working as Risk Manager for CNA in NYC, holding multiple Claims, Marketing and Sales positions at CIGNA and most recently 6 years with Anthem, where she developed and managed product portfolios across multiple segments and markets, as a Product Director. She is skilled in Market Research, Project Portfolio Management, New Product Implementations and Business Process Improvement. She earned a Bachelor of Science - BS focused in Dental Hygiene / Hospital Administration from University of North Carolina at Chapel Hill and prior to that, as a University of Pennsylvania Dental Hygiene Graduate, she taught at the School of Dental Medicine. Sharon also holds a Certificate in Risk Management, from the Philadelphia School of Medical Law. Sharon resides in the historic village of Hudson, OH. Friso van Reesema, M.P.H. M.B.A. is the VP of Managed Care for CipherHealth, supporting health plans with member engagement. Prior to Cipher, Friso helped over 15 health plans with member engagement through member education programs and empowered plans, providers and patients with shared decision making. Through his academic background in business, cultural anthropology and public health, Friso aims to build partnerships to encourage social, behavioral and community change through the right balance of member, community and provider engagement. Friso is a co-Chair for the Connecticut Hospital Association Patient Family Advisory Committee (PFAC), as well as the co-Chair for the Stamford Hospital’s PFAC, where patient-centered care is achieved through patient and family engagement and co-design. Friso is a Board Member of Health Equity Initiative reducing health disparities and the local Boys and Girls Club. To support social determinants of health, Friso is on the NY Advisory Committee for FEAST, a non-profit engaging vulnerable women with diabetes to shop, prepare, cook and serve nutritious meals. For over a decade, Lauren Easton, LICSW, has served as a Behavioral Health leader for Commonwealth Care Alliance (CCA). Over the years and in various roles, Lauren has been largely responsible for developing CCA's behavioral health integration across its care models, for creating a responsive network, and for creating many innovative programs, including CCA's Crisis Stabilization Units. Lauren embraced the integration of behavioral health and medical care long before the concept became "trendy." She has made behavioral health integration a hallmark of program development throughout her professional life. In her current role, Lauren is responsible for the oversight of CCA's behavioral health services, delivered through its network of behavioral health providers and internal behavioral health specialists to CCA's 22,000+ members. She is responsible for assisting clinical leadership in improving the level of integration of Primary Care and behavioral health services for CCA members and for guiding network development, cost management, and quality improvement activities. She oversees the Behavioral Health development and expansion of the One Care program and Senior Care Option Program, paying particular attention to the significant mental health needs of this population. Lauren holds a master's degree from Simmons College School of Social Work. She also attended Boston University and the University of Massachusetts, where she completed a double Major in psychology and education. Harry Merkin has worked with both payers and providers through many dynamic changes in healthcare for a number of years. He is currently responsible for Marketing at HealthEdge, including product marketing, demand generation and thought leadership. He previously had similar responsibilities at Evariant and NaviNet and has collaborated with many transformative entities across the healthcare landscape. Harry has helped introduce and promote innovative enterprise software solutions that enable payers to improve their competitive effectiveness, as well as perform valuable communications between payers, providers, and consumers. 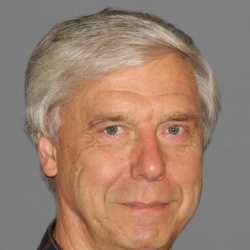 He is a frequent speaker at industry conferences and forums and contributor to the 'Edge Report, the HealthEdge blog. Cory Busse is a Senior Director, Health Care Engagement Strategist at NovuHealth. With 15+ years of healthcare industry experience, Cory helps health plans optimize (and maximize) engagement with hard-to-reach member populations to improve quality, enhance member satisfaction and manage costs. Prior to NovuHealth, Cory was a senior leader at health tech firm DrFirst, where he helped make patient health data more available and actionable for practitioners. He has also held senior leadership positions at Prime Therapeutics, Blue Cross Blue Shield of Minnesota, ARKRAY and MGI Pharma. Kathleen Cox is the Market Development Advisor for Humana with regional responsibility for Medicare Advantage market strategy. In her role, she is responsible for Medicare Advantage plan design, bringing products to market aimed to better address member needs. In addition to managing the product portfolio, Kathleen focuses on strategic provider & vendor relationships to drive differentiation and an enhanced member and provider experience. She enjoys being an integrator and connector, and is currently looking for new ways to help address social determinants of health and to encourage members to utilize the many benefits available to them. Kathleen previously worked in strategic planning for Humana and has a background in strategy & operations consulting in the provider space. Dr. Connie Ducaine, is the Vice President of Strategic Solutions at Vital Decisions, and she started her career with the organization 7 years ago by working directly with clients approaching end of life. Dr. Ducaine is a licensed practitioner and a counselor educator in the state of New Jersey. As a licensed professional counselor, she has assisted clients with advanced illnesses to provide support as they made decisions about their future, and has witnessed first-hand the benefits of patient engagement. Her research interests involve understanding the experience of professionals working with patients approaching end of life, and the implications of various mental health issues. Ms. Ducaine is a past president of the New Jersey Counseling Association (NJCA) and effective July 1, 2018, accepted the role of the President of the NJCA division focused on providing support and programming for counselor educators and supervisors in the state. Dr. Ducaine has presented regionally and nationally on an array of issues related to mental health. Raj is a member of the American Academy of Actuaries with over 14 years of health actuarial experience working with insurers as well as with consulting firms. Raj is currently the Medicare Actuary at Capital District Physicians Health Plan (CDPHP) and manages the Medicare bidding process and various value based contracting initiatives and population health management initiatives. Raj holds an MBA from New Mexico State University and a bachelors in Mechanical Engineering. An expert in operational performance and excellence, Jenny has over 15 years of experience developing and implementing innovative operational strategies to improve overall business performance and utilization. As a founding partner, Jenny has led engagements for clients in the Health Insurance and Insurance Brokerage industries. Her functional expertise includes customer service, correspondence, claims, medical management, enrollment, brokerage servicing, policy management, underwriting operations, requirements development, and information technology. working in collaboration with executives and their teams, Jenny focuses on developing strategic recommendations at make a positive impact on the customer experience by vastly improving internal processes and management. Donna received her MBA from the University of Southern California (USC) and is a Certified Master Black Belt in Six Sigma. She has over 14 years of experience managing and conducting process improvement projects. Her most recent experience prior to SCAN includes various process improvement roles at OptumInsight and OptumRx. Her responsibilities at SCAN include managing the deployment of and providing oversight over SCAN's 5 Star programs and interventions.